In Michigan, when an individual is sentenced for a crime, the Court may place the person on probation for a specified term. The maximum term of probation that may be imposed for a misdemeanor is 2 years and 5 years for most felony cases. All persons convicted of a felony are monitored by the probation office assigned by the Circuit Court. In Macomb County, the probation department is located at 32 Market Street, Mt. Clemens, Michigan. Some of the District Courts, including the 40th District in St. Clair Shores, the 38th District in Eastpointe, the 41-A District which covers Sterling Heights and Shelby Township, the 41-B District in Clinton Township, have their own probation departments. Typically, the terms of probation after sentencing include regular meetings with a probation officer, alcohol testing, drug testing, and counseling. Probation can be disruptive to one’s daily routine and compliance with numerous conditions can interfere with home, school and employment. Our firm receives calls almost daily from clients who are on probation and want to get out of the system. I find myself using a line from the movie Jerry Maguire when someone calls our law firm and wants to get off probation; “HELP ME HELP YOU.” The following will explain what I mean. Our firm will go to bat for the person who has substantially complied with the terms of probation. A probation order can only be modified or amended by the sentencing Judge. This means that a motion and a hearing must be scheduled to request relief from probation conditions. It is up to the client to supply positive information which will be included in a motion and advocated at a hearing. Your probation officer may be your best witness at a hearing to modify probation. A client wishing to get out of the system must impress the probation officer by being punctual, completing all programs and having a good attitude. Don’t be the person who is late for probation meetings, fails drug tests and gives the probation officer a hard time and then expect the probation officer to get on board with your plight to have your probation modified. 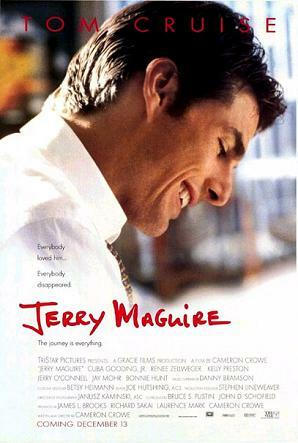 Remember the movie Jerry Maguire, life improved for the aspiring pro football player (Cubba Gooding, Jr.) when his attitude improved. We usually like our clients to have served at least ½ of the total term of probation before we will file a motion to terminate probation. In other words, if someone gets two (2) years of probation, a motion to terminate probation may be considered after one (1) year of compliance. The Court may entertain outright termination of probation, amending probation from reporting to non-reporting or modification of conditions. If you have made a good faith effort to meet all the terms of your probation and haven’t committed any new crimes, you may be a candidate to get off early. Our firm has successfully represented clients who seek to have probation terminated or a term of probabation amended, modified or lifted. We know that regular drug testing can be a burden to someone who works and can’t get time off to meet the testing requirements. Contact the ABDO LAW FIRM if you would like to file a motion for modification of probation. Phone: 586-412-5555. HELP US HELP YOU!